Dr. Nathaniel Lim has been rehabilitating patients' mouths since 2000. Dr. Lim has been treating patients with jaw joint problems, jaw pains, headaches and bite problems. The best solution to many of these symptoms is often the preservation of what your body was “built” to do. This is often dictated by how your jaw closes and the joint position. Years of neglected or mismanaged dental problems may cause joint and jaw discomfort and pain which are compounded and become worse because teeth don’t match and the bite has been altered by an overfilled tooth and missing tooth or teeth. Dr. Lim will correct any issues needed and then reconstruct your mouth/smile completely so that your teeth and joint will work with each other instead of against each other. This, in turn, will manage and may cure headaches, joint and muscle pains. Dr. Nathaniel Lim grew up in California and attended the University of California, Los Angeles for undergraduate studies in biology. He then graduated from Northwestern University Dental School in 2000. Dr. Lim is married and has a son and daughter. After Northwestern University Dental School, Dr. Lim continued to advance his dental knowledge and techniques through The Dawson Center. Dr. Lim has been personally trained by Dr. Peter Dawson who is known in the dental community as the “father of occlusion” (bite) and jaw joint/muscle pain analysis and treatment. Dr. Lim completed training through Spear Institute (formerly known as Scottsdale Center for Advanced Dental Education) with Dr. Frank Spear. The Spear Institute emphasizes comprehensive and cosmetic analysis and treatment of various challenging dental conditions such as severely worn teeth, bite problems, joint problems and aesthetic/cosmetic restoration. The goal is to bring back not only your smile but your function which is just as important or more important than just looking good. Dr. Lim was certified to provide Six Month Smiles providing cosmetic teeth alignment corrections in just about six months! He is also a certified Invisalign provider to provide virtually invisible braces system. 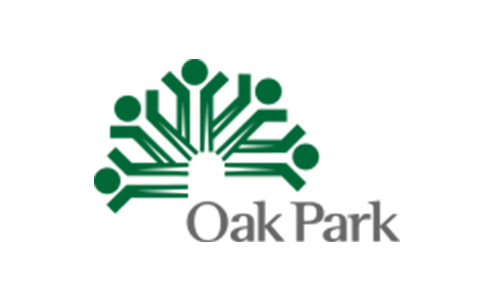 What brought you to Oak Park, Illinois? It is a town that is rich in diversity and culture. It is a town where people care.